It works without problems. As cospa is well prepared and I / O cable is prepared, I am allowed to use it conveniently. This review is about item#36847806. Purchase for the power outage of the product out of print. Discontinued items are 30 W, but they were non-processed with 50 W at the same size. This review is about item#36847736. Although it was used as a power source for car radio, it broke down around 30 minutes or so. The input power supply is AC100v. Is there no mistake in how to use it? I used a dedicated harness, but why? Purchased 5 V / 50 W products. It is easy to order because the price is low and I / O harness is also sold as a set. I will purchase the same things next time. This review is about item#36847772. The switching platform of the electric car gate is replaced and the failure is restored. I was looking for an equivalent product due to a failure of the switching circuit. It is safe with a well-established manufacturer. The size was also small and the installation could be used without problem. Cost performance was often easy to use because there is no extra function. This review is about item#36847657. It is a transfer from the old product VS - B series which was finished manufacturing. Since the base length has become smaller than before, it is necessary to change the mounting hole. There are also few parts mounted and it is getting smaller. It seems that chip parts are also attached to the back side as it becomes new. I wanted a stable product for the first time so I tried it for the first time, but it seems no problem at all. This review is about item#36847754. When you purchase harness at the same time it is very easy to use and the price is also cheap. It is relatively inexpensive. Relatively short delivery time. Made by manufacturer and satisfied with quality. 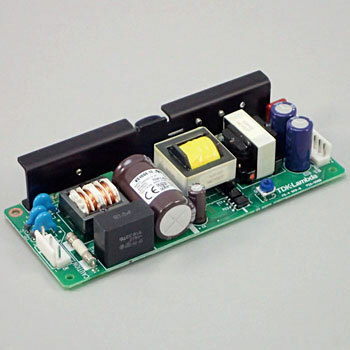 You can purchase VS 100E-24 (as a power supply for your own class-D amplifier) ​​and easily remodel the output voltage regulator externally (switch by 2 switches), and at the level of dissatisfaction with stability and heat generation It is too much performance for this car compo equipment. This review is about item#36847684.